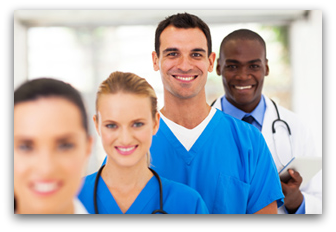 Advanced Healthcare Services LLC is an experienced home health care and medical staffing organization serving South Florida from Vero Beach to Boca Raton. Our aim is to exceed your expectations with our superior customer service, quality in-home health care, and providing supplemental staff for healthcare organizations on the Treasure Coast. When looking for private home health care you want to look for home health care providers dedicated to helping seniors or others who need temporary or permanent home health care assistance when health or physical limitations make it difficult or unsafe. We offer medical and non-medical home care assistance. Don't know what level of home care services you need? Most families don't know. We offer a free in-home health care assessment to help you and your family discuss options for home health care to suit your unique needs and provided in your own home. Call today 561-232-7022 for your free no-obligation consultation with one of our friendly team members. Please feel free to contact us with any questions that you may have or to schedule your Free In-home Care Assessment. 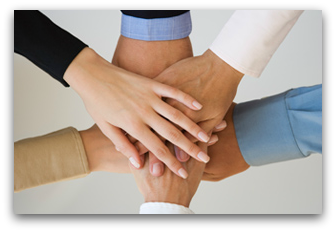 Choosing a home health agency you can trust with your care or that of a loved one is an important decision. We work together with your physician, healthcare provider, and family to coordinate home health care of the highest quality. 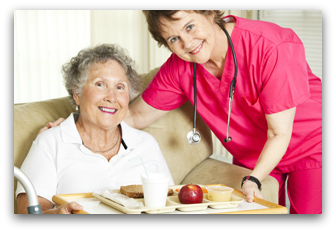 Whether you are looking for at home healthcare or non-medical home care we are the right agency for you. Whatever the needs, our caregivers can help make life easier by providing flexible and long-term care arrangements or bring short term relief in the form of respite care for yourself or another. Having in home private care services will help keep seniors independent and able to stay in their homes longer. We provide in-home companionship and care services, personal care services to professional nursing care services in Indian River County, St Lucie County, Martin County, Okeechobee County, and Palm Beach County. Most families don't know what level of care their loved one needs. We offer a free in-home care assessment to help you and your family discuss options for home healthcare to suit your unique needs. Just fill out the form above to get started. Advanced Healthcare Services provides a comprehensive array of services to support the familiar lifestyle you and your loved one are accustomed to. When you choose Advanced Healthcare Services we will match you or your loved one with a qualified Caregiver who will exceed expectations. We provide the Caregiver services of: Certified Nursing Assistants (CNA), Home Health Aides (HHA), Companions and Respite Sitters, Licensed Practical Nurses (LPN), and Registered Nurses (RN). We can also refer physical therapy services as needed. We cover the following Florida counties: Indian River County, St Lucie County, Martin County, Okeechobee County, and Palm Beach County. This includes the following cities: Vero Beach, Port St Lucie, Jensen Beach, Hutchinson Island , Sewall's Point, Stuart, Hobe Sound, Jupiter, Jupiter Island, Palm Beach Gardens, Singer Island, North Palm Beach, West Palm Beach, Palm Beach Island, Lake Worth, Greenacres, Wellington, Boynton Beach, Delray Beach, and Boca Raton Florida. Why Choose Advanced Healthcare Services?